If you've been keeping track of 3D printing coming to the aide of animals then you might remember Derby the dog who got himself some 3D printed paws. 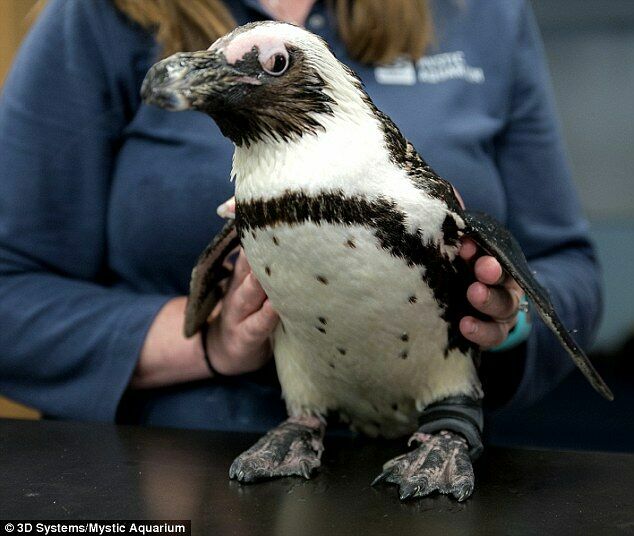 Now it's the turn of a penguin to benefit from 3D printing technology. 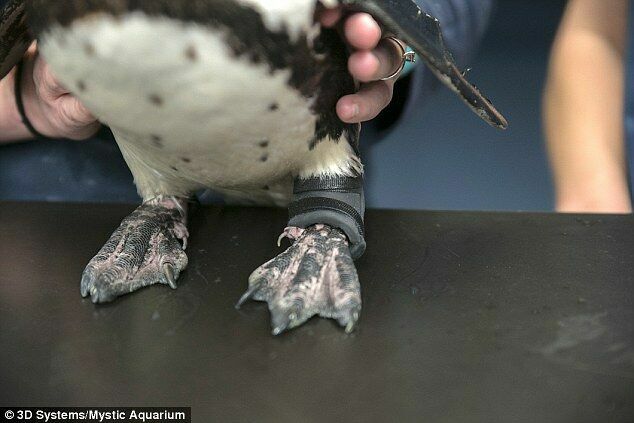 Purps is a 23-year-old African penguin, an endangered breed, who got into a fight with another penguin at her home at the Mystic Aquarium in Connecticut. The altercation meant Purps ended up injuring the tendon in her left leg, causing her to have problems walking. This was back in 2011. Since then 3D Systems, who make 3D printers, has stepped in along with some middle schoolers from local school Mystic Middle School, the ACT Group, and the aquarium. 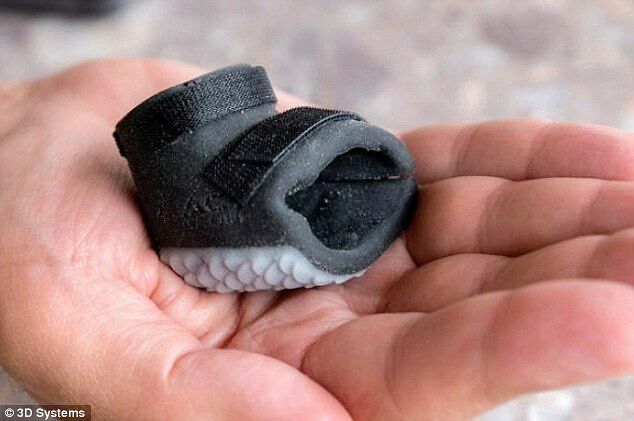 Together they have built a customized boot created from an existing cast of Purp's foot. Purp's had already worn a boot to help with her injury, but it was made of plastic and wasn't very lightweight. Now thanks to some 3D scanning, designing, and 3D Systems' technology, Purps has a much lighter boot, and a more durable one, that she can easily move around in. 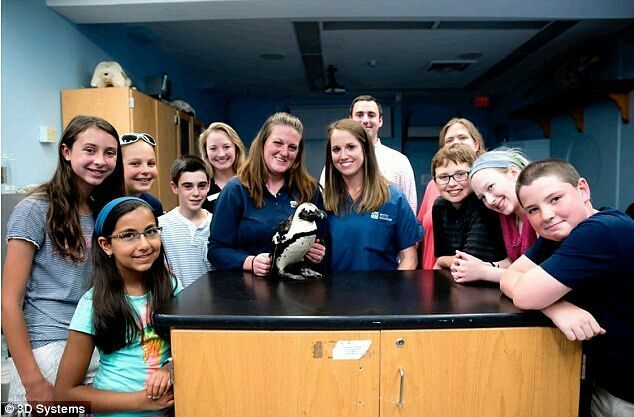 “This project not only helped a member of an endangered species, but it gave our students a hands-on understanding of the 3D printing process and how to carry an idea through from a concept to a design to a usable object,” said Mystic Middle School's Sue Prince. It looks like it's a happy ending for all involved. Purps certainly now has, ahem, happy feet. You can watch the adorable Purps walk around in her new boot in the video above.